Whether you are a small business owner only recently bringing your products and services to the market or a more established company looking to increase the efficacy of your internal operations, Microsoft has the product for you. Windows Server is a group of operating systems that gives computers the ability to deal with network roles, such as a print server, controlling a domain, web server, and a file server. These operating systems can support management at the enterprise level, storing information, applications, and communications. Windows Server also acts as a platform for applications such as Exchange Server or SQL Server. There are several different Window Server editions and licenses that are available to suit a wide-range of business needs. You can use this guide to find the best pick for your business. 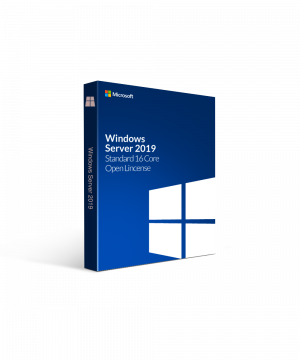 Windows Server 2008 has made the job of developers easier by making applications more pliable, something that is particularly useful to meet the needs of smaller businesses. On this server, users are more easily able to upgrade and manage apps, which is something critical to meet the evolving needs in present day IT departments. Specifically, developers and programmers can use Windows Server 2008 to build even more adaptable web applications using IIS manager and the Internet Information Server 7.0. This version of Windows Server also allows users to build connected systems with Windows Communication, Foundation, Windows Workflow Foundation, Windows Process Activation Service, and Microsoft Message Queue 4.0. Windows Server 2008 also includes several additional featured geared toward security and administrative functions that are shared with Windows Vista. These features include re-written networking stack, an enhanced firewall, more technology to be used in the .NET Framework, as well as additional improvements to several systems, such as kernel, file, and memory. For additional features, be sure to check out the Windows Server 2008 Premium (Small Businesses) option as well. Both versions of the Windows Servers offer managers of small businesses unrivalled support in being able to manage their networks, with features such as inventory logging, a detection system safeguarding your system against redundant data, and allows for remote log ons. Windows Server 2012 allows for windows clustering, allowing for users to oversee load-balanced clusters and failover clusters. This version comes with newer features such as group management, common properties, and integration with Windows Management Instrumentation. This version also features user access logging, which is a framework used for Windows Server roles to track certain metrics, such as consumption. The user access logging component is an important part of the broader licensing management solution. Windows Server 2012 allow offers Windows Remote Management (WinRM), which is based on the Simple Object Access Protocol and firewall friendly and allows for hardware and operating systems to operation with each other. This works even if the hardware and operating systems stem from different vendors. Another newer feature offered by Windows Server 2012 is Windows Management Infrastructure, which contains the newest edition of the Windows Management Instrumentation (WMI) technology. These technologies are modelled after the CIM standard from the Distribution Management Task Force (DMTF). This management infrastructure – which is compatible with earlier editions of WMI – makes it easier for clients to both design and develop. Added onto this is the addition of the iSCSI Target Server API, which gives WMI providers the ability to make virtual disks and present them to the client. Furthermore, the NFS WMI provider means that the user is able to manage NFS servers, as well as client settings, file shares, and netgroups. Windows Server 2012 also has data duplication, a feature that locates and erases multiple copies of the same data while ensuring that the old data remains intact. This makes fore a more efficient system, where more information can be stored in less space. As part of Windows Server 2012, the Offline Files API allows apps to monitor and control files that are not online, adding the OfflineFilesQueryStatusEx, OfflineFilesStart, and RenameItem functions. Also part of the package is the Windows Server Backup feature, which automatically saves data written onto the application through the Cloud Backup Provider API. Windows Server 2012 users Windows Duplication API as part of Windows desktop sharing, which allows multiple parties to share their screens with one another. Window Server 2012 R2 also allows for Data Duplication software, which locates and removes redundant data. On this version of the server, there were a number of changes made to the parameters of the application, with the addition of the MSFT_DedupFileMetadata. The 2012 R2 edition also features the Software Inventory Logging function, which allows for remote access to data to be collected at another center. The application does this by collecting information about licenses on software that has been installed on a Windows server. Similar to the Windows Server 2012 offering, Windows Server 2012 R2 includes the iSCSI Target Server application to allow for the creation of virtual disks to be presented to clients. Something new that the 2012 R2 version offers is mobile device management registration, which not only allows for remote server access, but also allows users to do this from a mobile device. This access can be obtained either on the premises or through the cloud to perform workplace tasks. This app simply allows for mobile devices to be registered and have access to the server. Another function of Windows Server 2012 R2 is Windows PowerShell, which is a task-based command line scripting language that is used primarily for system management and system administration. Unlike the previous versions of Windows Server, Windows Server 2016 offers greater time accuracy as a result of improvements in the Win32 Time and Hyper-V Time Synchronization Services. Windows Server 2016 also offers additional container features to improve performance, simplify network management, and enhance support for Windows containers on Windows 10. Furthermore, through the new Hyper-V-based Shielded Virtual Machine services, Windows Server 2016 can protect any generation two machine from being compromised. In addition to increased security, Windows Server 2016 also offers new features and enhancements when it comes to storage, both software-defined and traditional file servers. One of these features is the Storage Spaces Direct that allows users to use new classes of disk devices, such as SATA SSD and NVMe disk devices for your storage needs. Another feature will ensure that your data is safeguarded with Storage Replica, which allows for data replication between servers in the case of a disaster recovery. There are three types of additions for each type of Windows Server offered by Microsoft: Standard, Datacenter, and Essentials editions. The Standard and Datacenter editions tend to share many of the same features with each other, except for the number of virtual instances of the software that can be run at a given time. In the same vein, the Essentials and Standards editions are also very similar to each other except Essentials has restrictions on the maximum number of peoples and devices that can connect to it. Learn about the different types of editions to understand which is better suited for you or your organization’s needs. The Standard Edition is meant for small to medium-sized organizations or enterprises as it allows you to run only two instances of the software in an operating system on the server. You can still acquire additional virtual instances as needed by purchasing more Standard licenses. Unlike the Standard Edition, the Datacenter Edition allows for users and developers to run a larger-scale virtualization. Having the Datacenter Edition of a Windows Server means that you will be able to have an unlimited number of instances. This edition is inclusive of all the features that come along with the Standard Edition, but with further support for encrypted virtual machines, software-defined networking, and software-defined storage. Similar to the Standard Edition, the Essentials Edition is also designed for smaller organizations, but simply with more users and devices. Developers who opt for the Essentials Edition can have up to 25 users and 50 devices in the operating system. This edition also allows for a single instance of the Windows Server software to be operate at any given time. Unlike the Standard Edition, Essentials licences cannot be combined for more instances. No matter which version of Windows Server you opted for, there is always the option of moving to a newer version on the same piece of hardware. Microsoft makes this easy by allowing users to simply install the newer operating system over the older version. Installing the operating system this way means that the previous operating system has been wiped. Before getting on with your new version of Windows Server, you will need to securely back up all your data and plan to reinstall all of your existing applications in the new operating system. Even if you are running a clean installation, there are also certain requirements that you should be aware of depending on the type of Windows Server. Below are some requirements for Windows Server 2012, Windows Server 2012 R2, and Windows Server 2016. It’s important that you pay attention to the minimum system requirements before running the clean installation. The processor requirements for installing Windows Server 2012 is 1.4 GHz, 64-bit processor, and the estimated RAM that will be needed for a successful installation is 512 MB. The minimum disk space requirement for Windows Server 2012 is 32 GB, however this is an absolute minimum. You will need to free up extra space if you are planning to install the system over a network or if you are installing it on a computer that has more than 16 GB of RAM as it will require more space on the disk for paging, hibernation, and dump files. There are some requirements for hardware before running a clean installation for Windows Server 2012. You must have a DVD drive, Super VGA (800x600) monitor or one with higher resolution, keyboard and mouse, and access to the internet. Before running Setup to install Windows Server 2012, there are a couple of steps that you need to follow. Make sure to securely back up all your servers, including all data and configuration information that is required to make your computer function. A backup of all configuration information is important for software that provides network infrastructure, such as the Dynamic Host Configuration Protocol servers. When backing up your data, make sure to store it on hardware, such as a floppy disk, CD, DVD, or USB flash drive in either the root directory or the amd64 folder. Because Windows Firewall is automatically turned on, your installation may be interrupted. Before installation, you would have to create rules that allow for the inbound connections made during the installation process. In order to get further information on this, you should contact your vendor to learn which protocols to write to prevent any problems from occurring during installation. Before beginning a clean installation of Windows Server 2012 R2, you should review the system’s requirements and any pre-installation documentation, obtain the product, and perform all steps related to preinstallation. In order to be able to run a successful clean installation on Windows Server 2012 R2, you must meet the minimum requirements of a 1.4 GHz, 64-bit processor, as well as meet the minimum RAM requirements of 512 MB. Microsoft advises that you allocate 800 MB of RAM to be available for installation. Once Setup has completed, you can change this setting back down to 512 MB. The minimum disk space required to run a clean installation of Windows Server 2012 R2 is 32GB, which is the expected amount of space while running the installation process in the Server Core mode with the Web Services role. In terms of hardware, you must also have a gigabit Ethernet adapter and a DVD drive. You might also want to have the following pieces of equipment available for use: Super VGA (1024 x 768) monitor or one with higher resolution, keyboard and mouse, internet access. Before running Setup to install Windows Server 2012 R2, refer to the steps pre-installation tasks required to install Windows Server 2012. There are a number of things to take into account before attempting to run a clean installation of Windows Server 2016, one of which is processor performance. You should take into account the clock frequency, size, and number of cores offered by your processor. The minimum processor requirements to install Windows Server 2016 are a 1.4 GHz 64-bit processor that is compatible with the x64 instruction set. Your processor will also need to support NX, DEP, CMPXCHG16b, LAHF/SAHF, and PrefetchW, as well as a second-level address translation. If you are unsure whether or not the machine you’re working on has these capabilities, you can use Coreinfo as a tool to find out. The minimum RAM requirements for installing Windows Server 2016 is 512 MB and 2 GB if you have opted for installing the Server with Desktop Experience. Please note that this is a minimum requirement and you will want to allocate more than 800 MB for Setup. After Setup has completed its run, you can change this back to 512 MB. Machines operating Windows Server 2016 must have a storage adapter that follows specifications of the PCI Express architecture. Windows Server 2016 does not accept ATA/PATA/IDE/EIDE for the purposes of boot, page, or data drives. There are also minimum RAM requirements for installing and running Windows Server 2016. The minimum value is set at 32 GB, however this will only allow you to install Windows Server 2016 in Server Core mode, with the Web Services server role. The system will require extra space if you install the system over a network or if you are using a machine that holds more than 16 GB of RAM as they need for disk space for paging, hibernation, and dump files. In order to be able to properly run Windows Server 2016, computers must have a DVD drive, UEFI 2.3.1c-based system firmware that supports a secure boot, Trusted Platform Module, Super VGA (1024 x 768) monitor or something with a higher resolution, keyboard and mouse, as well as internet access. If completely installing a new Windows Server on your machine doesn’t fit your purposes, then you might be able to upgrade your older operating system to a newer one. If you are running Windows Server 2012 R2, then you can upgrade to Windows Server 2016; however this might not be the case as not every older version Windows Server is compatible with upgrading to a newer one. So, before getting starting on upgrading to newer versions, make sure you understand the specifications of upgrading one each different type of Windows Server. For examples Windows Server 2012 Standard might only allow you to upgrade to Windows Server 2016 Standard Edition or Datacenter. Before upgrading, you should also keep in mind license conversions. You can convert the following: Windows Server 2012 Standard (retail) to Windows Server 2012 Datacenter (retail); Windows Server 2012 Essentials (retail) to Windows Server 2012 Standard (retail); evaluation version of Windows Server 2012 Standard to either Windows Server 2012 Standard (retail) or Datacenter (retail). Before upgrading, you should also keep in mind license conversions. You can convert the following: Windows Server 2012 Standard to Windows Server 2012 Datacenter; Windows Server 2012 Essentials to Windows Server 2012 Standard; evaluation version of Windows Server Standard to either Windows Server 2012 Standard or Datacentre. Microsoft’s Windows Servers offers a range of products that are suited for needs in businesses varying in size. A nascent business can start with and continue using Microsoft’s services with its various installations and upgrades available to Microsoft customers.